In article 30 of the Forestry Codec of the Russian Federation is regulated by the possibility of procurement by citizens of wood for own needs. In particular, it spelled out the ability to write Les to build on the basis of a contract of sale of forest plantations. Russian regions have adopted local laws clarifying that right and establishing standards for the allocation of the forest. Specify the procedure and standards for the procurement by citizens of forests for the needs of construction established in the Russian Federation, on whose territory you reside. This act shall be separately prescribed norms of providing forests for building houses and outbuildings, repair and renovation of homes and their heating. In addition, each of these needs should be established frequency when the citizen has the right to the forest. To build, reconstruct or repair a house or other outbuildings located on the parcel of land is your property, to apply to administration of the rural districts, on whose territory it is located. Rules for the allocation of the forest to build a house for each district can be different, on average you can get about 150 cubic meters of business wood. In addition to copies of passport and certificate of family composition, it is necessary to collect and attach all the legal documents for the land plot and buildings located on it. If you are building a new home, attach a photocopy of the building permit. Your application will be reviewed by a special Commission created by order of the head of the village administration. In its composition, in addition to representatives of authorities can enter the staff of bodies of architecture and Department of nature conservation and forestry. The Commission considers each application individually and determines the validity of the statements of a number of forests. In the case of a positive decision you will be concluded the contract of purchase and sale. Note that, as a rule, forest stands "at the root". You will receive a certain area, which is designed for planned deforestation. 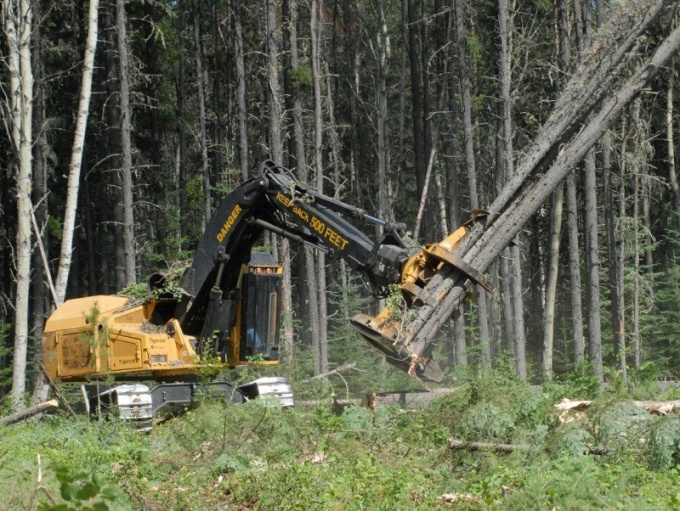 You have to cut down and clear trees from a plot and independently to process and export timber.